And He entered and was passing through Jericho (Luke 19:1). 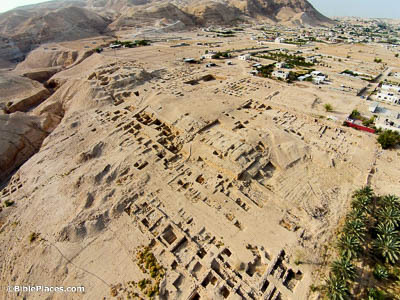 As Jesus was making his way south through the area of Jericho, he would have passed through the Herodian administrative district of the city, which encompassed both sides of the Wadi Qilt. The area is shown here from above. It was during this walk that he would have met Zacchaeus, and detoured to stay in the tax collector’s home. Behold, a man called by the name of Zacchaeus; and he was a chief tax collector, and he was rich . . . He ran on ahead and climbed up into a sycamore tree in order to see Him (Luke 19:2-4). 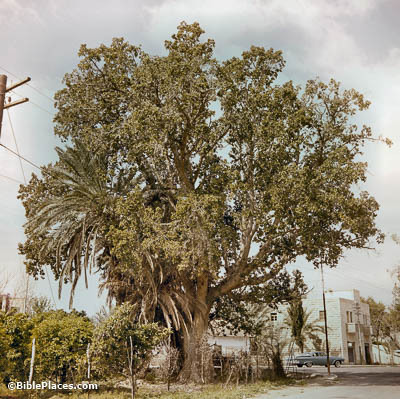 The type of sycamore tree that is common in Israel produces figs and is unlike that found in North America. These trees were typically planted along roads, and have sturdy, accessible branches, making them the perfect tree for Zacchaeus to climb. A certain nobleman went to a far country to receive a kingdom for himself, then return (Luke 19:12). 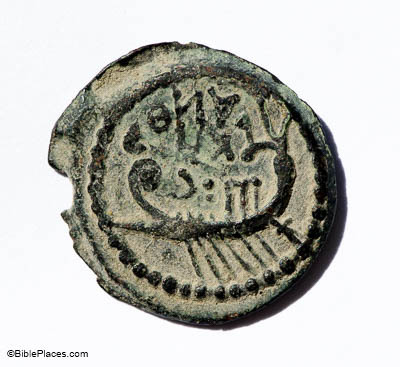 Though the king in this parable represents Jesus, there’s an interesting parallel between this parable and a moment in the life of Archelaeus, under whose reign this coin was minted. 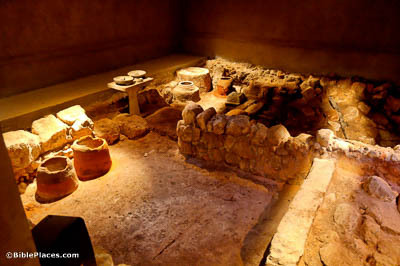 The son of Herod the Great, Archelaeus traveled to Rome after his father’s death to obtain the kingship willed to him, just as this nobleman went to a far country to receive dominion. And just as this symbolic king was met with a group of rebels, so Archelaeus was pestered by fifty ambassadors sent to oppose his accession. It’s possible that Jesus was alluding to these recent events in order to emphasize his point. I tell you, if these keep silent, the stones will cry out (Luke 19:40). 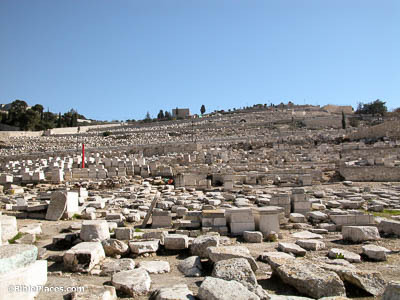 The area on and around the Mount of Olives is a perfect place for a cemetery, being close to but not inside the city of Jerusalem. Consequently, it’s served that purpose for millennia. Today, it’s home to no less than 80,000 tombs. Some have used this detail to argue that the “stones” Jesus mentions here are actually tombstones—however, there’s no reason this has to be the case, as the soil around Jerusalem is full of natural rocks. Your enemies will set up a rampart around you, and surround you (Luke 19:43). 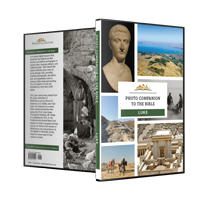 These words predicted the Roman destruction of Jerusalem in AD 70. 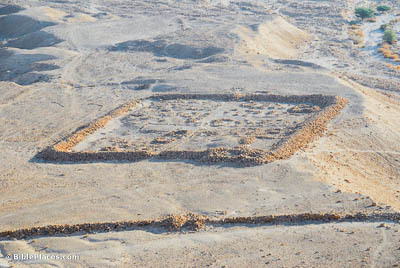 While remains of the siege works involved in this campaign have not been preserved, we can see what contemporary Roman sieges looked like from Masada. Soldiers sat entrenched against this city, surrounding it with camps such as this one. They also encircled the area with a thick wall, preventing inhabitants from escaping. Judging from Jesus’s words, their treatment of Jerusalem was similar. They will beat you and your children within you down to the ground (Luke 19:44). While the siege works themselves haven’t survived the passage of time, there still remains abundant evidence from Jerusalem’s destruction. A particularly poignant example is this building, known today as the “Burnt House,” so called because of remarkable fire damage sustained in AD 70. In fact, the heat was so intense that the stones changed color, and the initial excavators would finish their days completely blackened with soot.